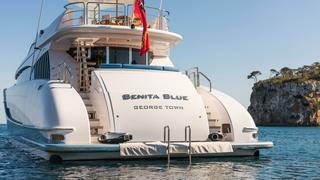 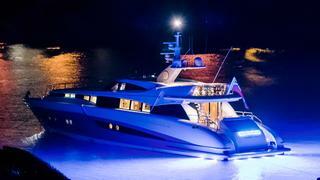 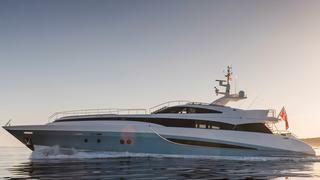 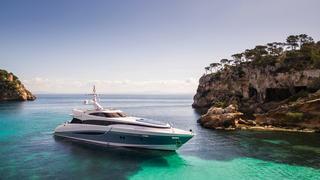 A perfect combination of luxury and performance, motor yacht BENITA BLUE is sure to turn heads when arriving in port. 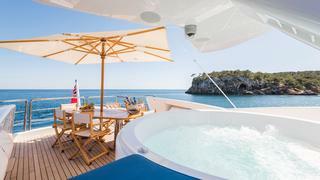 Her cool, sleek exterior is enhanced with impressive leisure and entertainment facilities and with a fully flexible accommodation layout too, she is an ideal choice for a family or friend charter. 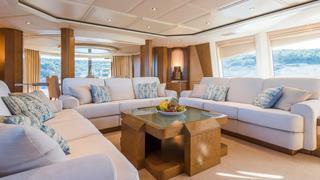 Inside, her beautiful interior was formed under the direction of Sam Sorgiovanni so expect a fun and fully touchable experience. 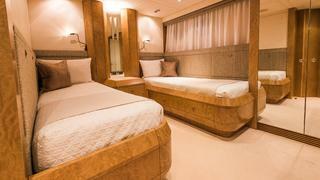 Think sumptuous soft furnishings in elegant tan and cream hues accented with inspired artwork. 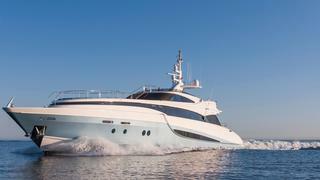 On deck she boasts a jacuzzi, al fresco dining options plus a swim platform and extensive (water) toy chest. 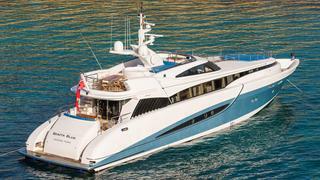 BENITA BLUE is designed to go places and with a top speed of 25 knots and a comfy cruising speed of 22, she fuses speed with beauty. 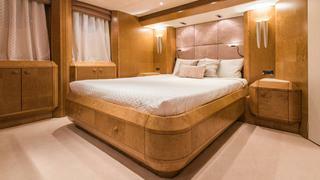 She accommodates 10 guests across an adaptable set of cabins. 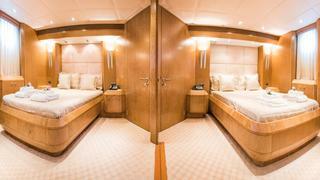 Firstly, the master cabin, located aft on the lower deck is fully convertible dividing into two doubles as required, utilising the his and her bathrooms; the study located on the main deck has also been designed to convert into a double. 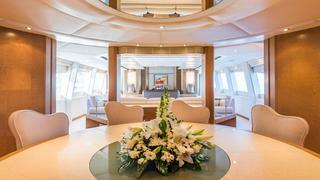 A further two twins are located on the lower deck. 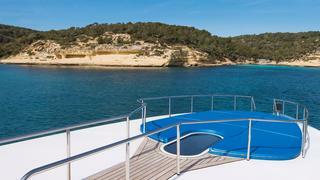 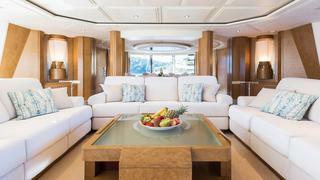 The yacht also houses five crew members ensuring all guests' needs are anticipated and taken care of.